Liberty Resources offered up to 30 percent stake in Imperial Energy, subject to the American company striking success in the Bazhenov shale formation, The Mint reports. The overseas arm of India’s oil and gas bellwether ONGC Videsh Ltd (OVL) has offered Denver-based Liberty Resources, a stake of up to 30 percent in Imperial Energy, which it acquired in 2009, The Mint said on its website on Wednesday. OVL, which is trying to reduce losses on its $2.1 billion acquisition, is offering the stake, subject to Liberty Resources striking success in the Bazhenov shale formation, the paper added. A total of four wells will be drilled requiring an investment of $10 million, the paper added. 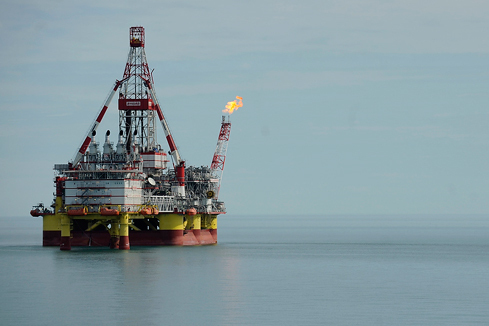 Bazhenov is believed to hold around 360 billion barrels of recoverable reserves. Russia-India oil, gas pipelines in the works? “As a result of its commitment to exploit the hard to recover oils from tight sand reservoirs as well as Bazhenov shale in its acreages, on the 12th of September 2013 Imperial has signed an technology partnership agreement with Liberty Resources,” the paper quoted Imperial Energy as saying in a statement. “There are two parts of the agreement. While one is the service contract, the other is for giving equity stake to Liberty. It will also reduce our risk,” another ONGC official told Mint. OVL had acquired the UK-listed Imperial Energy Corporation Plc for $2.1 billion in January 2009, after Russian anti-trust watchdog, the Federal Anti-Monopoly Service (FAS), cleared the deal in what was to be its first acquisition of a foreign exploration and production company with significant assets. The company invested another about $500 million in the asset. However, its all-along falling oil production has seriously impacted India’s efforts to reduce its dependence on the imports of oil and gas, which OVL claimed as its main objective of the Imperial acquisition. India’s energy demand is expected to more than double by 2035, from about 700 million tonnes of oil at present to around 1.5 billion tonnes. Now ONGC is reportedly planning to focus on Imperial’s operations only in a few oil fields with the purpose of reducing the losses.